In making my coffee, I prefer using coffee pods. But in the past, I have had coffee pods that did not taste so good and it was a waste of money purchasing it. 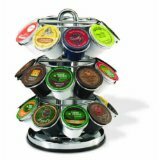 The best coffee pods in my experience are the k-cups, senseo, starbucks and donut house. These are all the coffee pods that in my opinion works for me. First of all, they have a wide selection of flavors and the coffee taste of top caliber. I tried comparing the coffee these pods produces with the regular coffee shop brews and honestly, I cannot tell which ones are the pod made and which one are coffee shop made. Meaning, even if they are just coffee pods, they don’t sacrifice the taste of the coffee.